The Dignity in Schools Campaign (DSC) challenges the systemic problem of pushout in the nation’s schools. DSC advocates for the human right of EVERY young person to a quality education and to be treated with DIGNITY. The DSC unites parents, youth, advocates and educators to support alternatives to this culture of zero-tolerance, punishment and removal in schools. National Week of Action is a nationwide Campaign to bring about awareness to the #SchoolPushout crisis in the nation’s schools. Rallies, marches, forums and workshops are held across the country by students parents, teachers and advocates working to transform #SchoolDiscipline policies and practices. In 2014, there was over 100 Week of Action events in more than 50 cities and towns. The Duluth and Minneapolis were among those cities! Minnesota Department of Employment & Economic Development (DEED) & Goodwill Easter Seals have partnered to host a Diversity Career Fair. Companies WILL have job vacancies to fill. Their staff WILL be onsite to speak with job seekers. Bring your resumes!!! Hmong, Somali, Spanish and American Sign Language. *Goodwill Easter Seals will have a truck onsite to accept DONATIONS. Cultural Diversity: What Is the A.B.C’S to connecting the D.O.T.S? Are the numbers telling you what’s going on in YOUR community? Do you see ‘Help Wanted‘ signs at your local merchants? The Old adage: “Businesses provide services and products to communities. Communities provide capital and labor to the businesses.” This is how Minnesota became known for it’s strong economy — powered by a strong workforce. Bring your lunch to the Eden Prairie Chamber of Commerce. Hear ideas on how to navigate cultural diversity from one business owner to another! Dr. Nkem D. Chirpich talks about her expertise — Navigating Diversity & Your Community! BRING YOUR OWN LUNCH; Beverages will be provided! Many of the school districts in Minnesota and nationally have been wrestling with closing the achievement gap and the education gap. States spend $5.7 billion a year on the juvenile justice system instead of our schools. On average, states spend $88,000 to incarcerate a young person, but only $10,000 to educate one. There was 62% of students of color graduating in 2013 compared to 85% of the Caucasian students. Students with disabilities are more than twice as likely to receive an out-of-school suspension than students without disabilities. 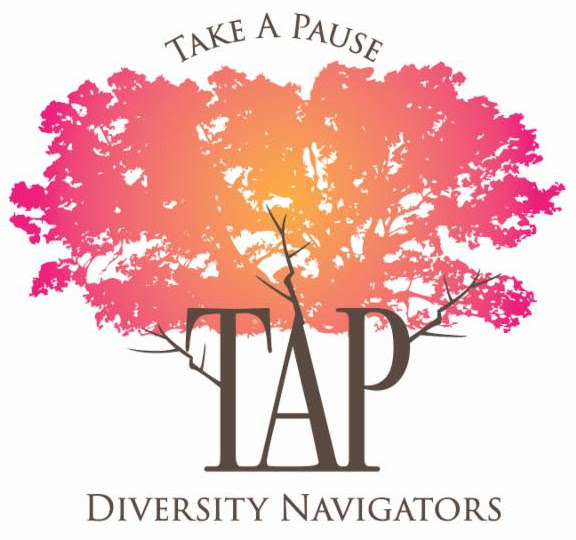 TAP’s teams are committee members and advisors on the SNS Coalition supported by Minnesota Education Equity Partnership (MnEEP). Solutions Not Suspensions Coalition held a SNS Coalition meeting WEDNESDAY, June 24, 2015 from 10 am–12 pm at 2233 University Avenue Suite#201, St. Paul, MN. Meeting was held in the conference room at the Danish Institutes Study Abroad North American Program (in the Wright Building, second floor next to the MnEEP Offices.